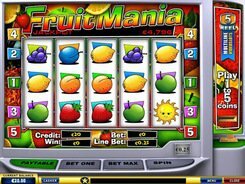 Fruit Mania released by a leading software developer Playtech attracts gamers like a magnet due to its progressive jackpot. 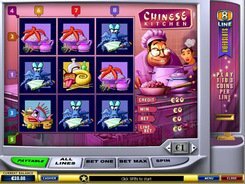 This is not surprising since placing a small bet you have a chance of winning an incredible cash jackpot. 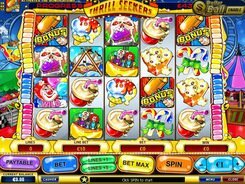 The slot machine consists of five brightly colored reels and five win lines. A coin has a fixed value of $0.25, and the machine accepts only one coin per line. So, the maximum sum you can bet per spin is $1.25. Regardless of fairly low wagers, you can win the progressive! 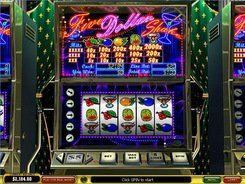 The second-largest win of 2500 coins is paid out for five blueberry symbols on an activated payline. 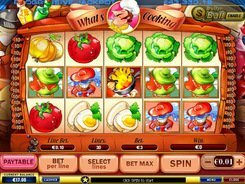 The progressive jackpot is awarded once five cherry icons land on line #5. This is achieved only if you bet the maximum possible amount of $1.25. The Sun is the bonus icon, with three of them on a payline starting a bonus round. 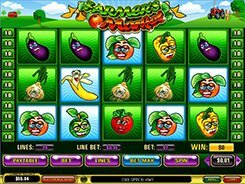 In this special feature, you have to select one fruit from each row that will bring you a cash prize. After the end of the bonus round, the accumulated winnings will be added to your bankroll. PLAY FOR REAL MONEY!